Why use window film in my home? I have been quoted a cheaper price for my home tinting from a competitor. Why? Unless you have considerable experience with various types of window film you would not know the difference by looking at them. Therefore it becomes a matter of TRUST! There are numerous operators offering cheap window tinting unfortunately some can be hard to locate again if warranty works are required. A warranty is only as good as the company who gives it to you. Top Tint Window Films has been established since 1994 and all films offer manufacturer warranties and Top Tint backs their workmanship. We have great reviews and feedback from our customers, so you can trust us to give you what you are paying for. Some companies avoid warranty obligations by changing their trading name. So always ask “How long has the company been trading? & has it ever changed names? What is Window Film and how does it save on energy bills? A micro-thin material which allows adequate sunlight with less heat and UV rays. When applied to the interior of your windows or glass, the film acts as an ‘invisible shield’ that rejects up to 83% of the sun’s heat. In summer, this keeps your home cooler whilst in winter; window film helps retain heat. YES most definitely, Top Tint Window Films is fully insured and has $20,000000 Public Liability. Our films are all backed by manufacturers warranties and we back our workmanship 100%. On a very rare occurrence glass breakage is caused by imperfections in the glass once window film has been installed, due to thermal stress. These cannot be seen by the naked eye and will appear within 72 hours of film installation. Many companies will not accept ANY liability for these however as a good will gesture Top Tint Window Films will re-tint the window at no charge once you have replaced the glass. Which film is best to use? 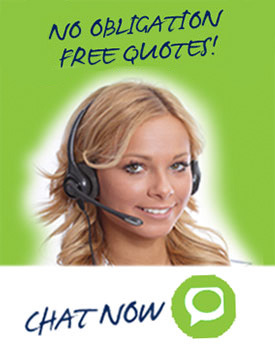 One of the advantages of our No Obligation FREE Quotations is that we can discuss your options to suit your individual needs. There are many window films available with varying degrees of performance. Some films are highly reflective whilst others are not. Our range of colours vary from totally clear upwards – you DO NOT have to have dark tinted windows to get all the great benefits of UV protection. Can I reduce glare on television screens and computer monitors by using window film? Do any of Top Tints range films offer day and night privacy? We often get asked this question and in one word the answer is NO. Tinted windows will only give you day-time privacy. Unfortunately there is no such window film that allows you day and night time privacy without losing your view. Daytime privacy films are medium to dark or Reflective which you can see clearly out HOWEVER people cannot see you from the outside, but at night when the lights are turned on the film will reverse. The easiest method for achieving night-time privacy is by simply closing your blinds or drapes at night. Blinds and drapes work very well in partnership with window film when it comes to privacy. In situations like bathrooms or front entry windows, a frosted film often works well to create privacy day and night while still allowing ambient light into the room during the day however with decorative/frost films you cannot see in or out. Total Whiteout or blackout Films block out 100% of the light, allowing absolutely no light into or out of a room. Solar window films are designed to see through, while Frost, Blackout, Whiteout and decorative films are designed for interior and exterior privacy glass from both the interior and exterior of a room. This rule isnt without exceptions however. For example, privacy can be created with the use of a highly reflective film, combined with strong external lighting and slightly dimmer internal illumination. Will window film make my home look like a ‘mirror’ from the outside? No - unless you specifically choose a reflective film option. All glass (even clear) has a certain reflectance. Adding any grade of colour film enhances that natural reflective aspect. Even tinted glass is more reflective than clear. How does using window film improve glass safety? Window glass comes in varying thickness and is either annealed glass, toughened glass or laminated glass. Applying Safety Film to thin annealed glass will upgrade the glass to meet the Australian safety standard 2208. This will protect and reduce the risk of personal injury should glass breakage occur. Can window film be removed easily from THE GLASS ON MY HOUSE IF I CHOOSE TO DO SO? Yes, most definitely window film can be removed. Window films are designed and manufactured to specifications that guarantee that they will not peel off from your glass. However, if desired, they can be removed by a professional using the correct tools, techniques and sometimes solvents leaving your glass in its original condition. ALL Top Tint staff are highly trained to do so. Which side of the window is window film applied to? 99% of applications the window film is applied on the inside of the glass pane, however sometimes it may be necessary to use external window film. How long does window film take to ‘dry’ once applied? Depending on the time of year and aspect of the window, it can take between a week (summer) to one or more months (winter) for all moisture to completely evaporate. Water is used to accelerate the glue on install so sometimes certain windows depending on daytime sunlight take longer than others to dry. Can I tint my skylight? Most definitely, Top Tint has a wide variety of films for this purpose. Will Top Tint match other competitor’s quotes / offers or quotes on car or house window tinting? SUMMER/WINTER film?? - If ECOLOGIK film makes your home cool on hot days, isn’t it also going to make my home colder in winter? No definitely not please read on and find out why? In summer ECOLOGIK helps reduce heat gain by up to 77% , however in winter reduces heat loss from your room by up to 30%, so providing ALL year-round savings. During the winter months, ECOLOGIK window film captures heat from your building and directs it back into the room. This lowers energy use and saves money on heating bills. In the summer months, ECOLOGIK film reflects solar heat away from windows, reducing the need to cool your building. Also, ECOLOGIK window film blocks harmful UV rays, reduces glare and doesn’t compromise any views. $ave Up To 30% On Your Energy Bills. How can the rainbow effect/look of installed window film be avoided or reduced when viewed internally at night? Otherwise known as iridescence, the rainbow effect is the diffraction of visible light as it passes through, reflects off and reflects within a film laminate. Like a rainbow in the sky, the diffraction splits up the light wavelengths into seven colours. Full metal films are the biggest offenders, but its usually only visible in strong fluorescent lighting or looking on a sharp angle in sunlight. This is not a film fault but an unfortunate effect that can only be reduced by changing the lighting source to another type such as incandescent, high quality LED or halogen. My glass has window film installed on it however when I touch the window it seems extremely hot on the inside. Isn’t tinting supposed to make the windows cooler? It is not unusual for the window to get hotter after film is applied. If this did not happen, the heat would continue into the room and make the room hotter. The film is designed to stop unwanted heat at the window and not let it continue into the room. When the heat is stopped at the glass or window, then the glass is going to get hotter since the heat is not passing through it. It is very much like putting your hand over a flame and feeling the heat. Then you put something between you hand and the heat such as a piece of metal and you no longer feel the heat but the metal will get hot since it is intercepting the heat and it is not getting to your hand. Some of the heat you feel when you touch the window will radiate into the room but this will be negligible and have virtually no impact on the temperature of the room. Once you get you hand 4 to 6 inches from the glass you will notice there is very little feeling of heat since the heat is concentrated in the glass. Does window film block UV A and B ultraviolet rays? YES all our window films block both UV A and B.
COMPUTERCUT WINDOW TINTING”– WHAT IS THIS?? Top Tint made a sizeable investment in the latest technology to provide you with the finest installation possible. Computer cut is the world’s only internet-based pattern cutting system. Each template is exact, designed to the specifications of your vehicle’s make, model and year. Having your vehicle tinted with computercut technology eliminates manual handling and removal of door trims. Computercut Is REVOLUTIONARY - SAFE - FAST and offers CLEAN Installation Everytime. "The ONLY One Of Its Type In MELBOURNE"
I have been quoted a cheaper price from a competitor lifetime warranty. Why? Unless you have considerable experience with various types of window film you would not know the difference by looking at them. Therefore it becomes a matter of TRUST! There are numerous operators offering cheap car window tinting unfortunately some can be hard to locate again if warranty work is required. A warranty is only as good as the company who gives it to you. Top Tint Window Films has been established since 1995 and all films offer manufacturer warranties and Top Tint backs their workmanship. We have great reviews and feedback from our customers, so you can trust us to give you what you are paying for. Some companies avoid warranty obligations by changing their trading name. So always ask “How long has the company been trading? & has it ever changed names? I have been quoted much more FOR tint & other aftermarket products by the dealership - Why? Unlike other large organisations Top Tint Window Films is NOT a franchise. Therefore we do not have to pay exorbitant monthly franchise fees or royalties thus eliminating the need to pass on those ridiculous costs to our customers. In short, Top Tint Window Films offers its customers the best product and service at the best possible prices that’s why we are still in business and have been since 1995. We have a reputation to uphold. How Dark Can I tint my car legally in Victoria? In most Australian States automotive window films must maintain 35% Visible Light Transmittance once applied to the vehicle. This means that 35% of the suns natural light must be capable of passing through the newly tinted piece of glass, however there are many late modeled vehicles coming straight from the manufacturer with privacy glass installed on rearward windows, this is darker than street legal on a majority of these cars however as it was installed at the manufacturer it is deemed Roadworthy. This has caused a few issues in Australia and there is a petition on the Australian Window Film Association website that coincides with this. http://www.wfaanz.org.au/PETITION. You can follow our link to the window tinting laws of Australia here on our site. My car has “Privacy Glass” already on the rear windows of my vehicle straight from the manufacturer........ What is this and what does it offer? Does it protect my children? Privacy glass is a coloured glass that normally has a VLT (visual light transmittance) of between 10%~20% and can come standard from the manufacturer on the rearward windows on many new vehicles We ALWAYS recommend our PERFOMANCE CLEAR window film for your privacy glass as if you choose to tint just the 2 front windows you will be rejecting heat, glare and UV from these windows only. By installing Performance Clear film to your privacy glass it will bring your properties up to approx. 60% Heat Rejection, 99.9% UV AND keep the glass in place in the event of any breakage which is paramount if you have children in the back. Does Top Tint offer Insurance? YES most definitely, Top Tint Window Films is fully insured and has $20,000000 Public Liability. Our films are all backed by manufacturer’s warranties and we back our workmanship 100%. You must leave your windows up for 48 hours. You may notice a streaky effect and even what looks like bubbles in the windows. This is quite normal as there is still water between the glass and the film that needs to dry out before it cures totally. Depending on the weather the film can take up to 6 weeks to totally dry out. The film need days over 16 degrees and the vehicle will need to be left outside for film to dry. Clean the film with a soft cloth and do not use Windex or any other ammonia based products. Depending on the time of year and where your vehicle is parked during daylight hours it takes between 4-6 weeks for all moisture to completely evaporate as water is used during installation to accelerate the glue and allow the film to stick to the glass. If after this time you have a query just call or pop in and one of the team will be able to access your tint. How long will it take to tint the windows on my car? An average sedan takes between two to three hours to complete. Of course if there is old or existing window tint film that needs to be removed it does take several hours longer depending on how easy the old film comes off. If time or commitments are an issue, ask about our pick up & delivery service. Can window film be removed easily from my CAR? Will I be able to remove window film if I want? Yes, most definitely window film can be removed. Window films are designed and manufactured to specifications that guarantee that they will not peel off from your glass. However, if desired, they can be removed by a professional using the correct tools, techniques and sometimes solvents leaving your glass in its original condition. ALL care and no responsibility is taken by Top Tint Window Films when removing window film from demister bars however as above we ALWAYS use the correct tools and techniques and we have very minimal issues. ALL Top Tint staff are highly trained to do so. Which side of the window is window film applied to on my vehicle? All motor vehicle window film is installed on the inside of the glass pane. How long will my car window film last? It should last you a LIFETIME! Top Tints automotive range of films all offer lifetime warranties, We always recommend our top end products as we like quality Products out there with our name attached to it, however on some occasions peoples budgets do not allow this hence having our standard range. We do not offer a budget range. How long does it take my car window tinting to dry? Depending on the weather, in the summer months when the temperature is over 15 degrees it normally takes around 4-6 Days however in the winter months it can take up to 4-5 weeks. For the film to dry quickly the temperature needs to be over 16 degress. I have seen some cars on the road with bubbly car window tint. Why? Cars fitted with dyed window tint films will all bubble and blister eventually. It is not the quality of the installation it is simply a low-end quality product that normally starts to break down at the 4-5 year mark. Prior to today’s metallised and carbon car window tints, all films were dyed. What happens is the dye fades and starts to break down and then the glue follows which is where you get the bubbling effect from. Will Top Tint match other competitor’s quotes on car window tinting? Yes, of course. Top Tint Window Films can match competitor’s quotes and offers – HOWEVER only apples for apples. Always ask what brand of film our competitor has quoted and its specifications. This will need to be given in writing. Unfortunately the market today is flooded with cheap low quality car window tinting films imported from overseas however Top Tint ONLY install American quality window tint which lead the way in technology and our films are the only one on the market that offer a SPF 285+. Do you offer mobile car window tinting services? In a nutshell NO we do not offer a mobile car window tinting services as we feel to produce a perfect fit and dust and particle free we require a clean environment completely free of any breeze or wind. It is also good to have bright lighting. So with these factors in mind it is much better to have your car windows tinted in our workshop. However, WE DO ONSITE tinting of windows for TRACTORS, GRADERS, BUSES, CARAVANS ETC as we understand it is not possible to bring these types of commercial vehicles to us on most occasions. If you have multiple vehicles and a dust free environment we are happy to offer a quotation to come onsite to install, obviously depending on your location and numbers the price’s will vary. Is there any discount for 3 or more cars? Yes, if you book in three cars for our top of the line darkest legal car window tint or one of our packages for the same day we will give you a 10% discount off the total price, this discount applies to original prices only. Not valid with any specials / vouchers or similar. Have a Question? Why Not Use Chat to Ask?